Below you can view all the homes for sale in the McCalls Corner subdivision located in Charleston South Carolina. Listings in McCalls Corner are updated daily from data we receive from the Charleston multiple listing service. To learn more about any of these homes or to receive custom notifications when a new property is listed for sale in McCalls Corner, give us a call at 843-306-2224. No HOA, so buy to live in, or renovate and make it the home of your dreams in the perfect location! MLS#19009990. Carolina One Real Estate. The kitchen, with stainless steel fridge, top-rated MLS#19009718. Keller Williams Realty Charleston. 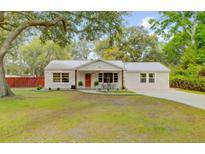 You decide once you make this desirable home your own before someone else does!!! A Must See! MLS#19007137. Weichert Palmetto Coast. A walkway takes you to a central gazebo and fire pit in the MLS#19000585. Keller Williams Realty Charleston. If square footage is important please measure MLS#18031755. Century 21 Properties Plus. Owner has approved construction drawings for build out and was appraised at an approved value of $530000 Call for more details! MLS#18025807. Keller Williams Realty Charleston.